Would you spend $1,000 on this? With iPhone sales falling, Apple needs to do something special in 2019 to convince fans to upgrade to its next-generation smartphone lineup. One fan might just have the answer. Waqar Khan’s gorgeous new concept imagines an “iPhone XI” with big improvements, including a third rear-facing camera and a smaller notch. Would you spend $1,000 on it? Khan’s concept device doesn’t look drastically different to the iPhone X or the iPhone XS. It sports a similar design, with smooth glass panels front and back, and a shiny stainless steel frame that holds everything together. But there are some significant improvements. The first change addresses one of the biggest complaints with the most recent iPhone design: its notch. Khan has made it around half the size by relocating the front-facing speaker above the glass. On the back of the device, Khan has added a third rear-facing camera that would allow for even greater photos and videos — especially in low light conditions. 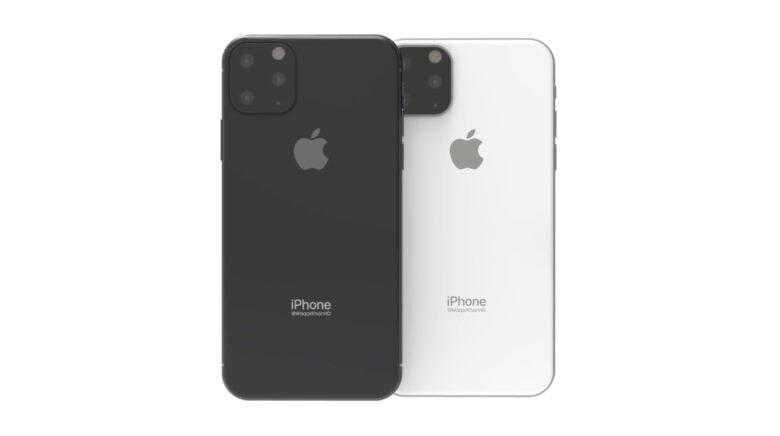 Khan’s concept is based on recent rumors surrounding the 2019 iPhone refresh from relatively reliable leaker Steve McFly of @OnLeaks. McFly recently claimed that the new iPhone lineup is in the Engineering Validation Test (EVT) stage, and that these improvements are a part of Apple’s plans. However, there’s still plenty of time for things to change. Would you buy the iPhone XI? Khan’s concept isn’t quite as pretty as other iPhone XI concepts we’ve seen, which eliminate the notch completely, but it certainly seems closer to what we’re likely to get this fall. With that in mind, would you upgrade if you already own an iPhone X, iPhone XS, or iPhone XR?